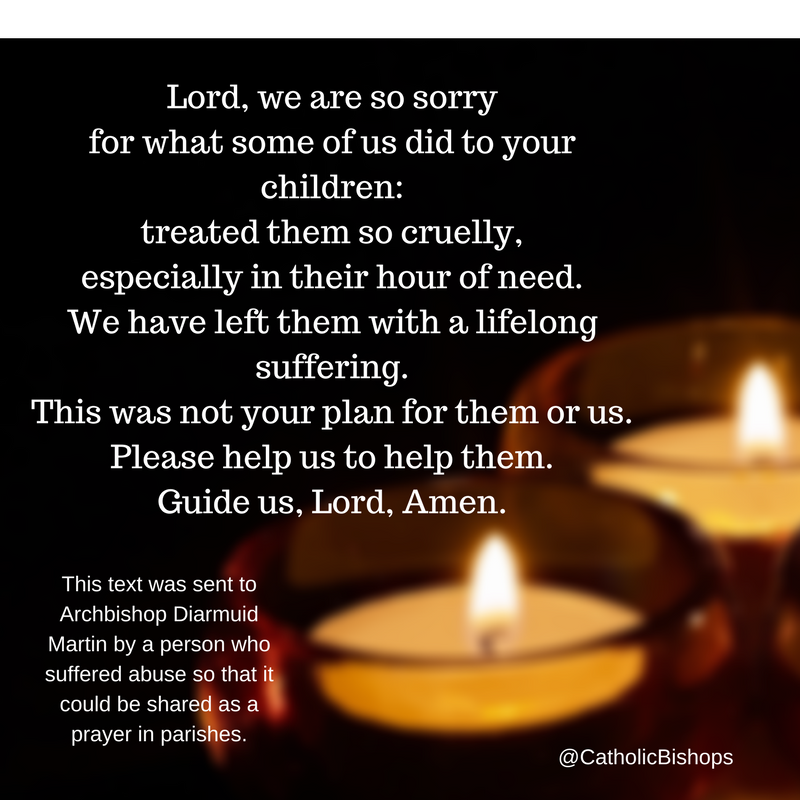 Catholic News World : Special Prayers to SHARE for Healing of Victims of Abuse "Lord, we are so sorry for what some of us did to your children..."
Special Prayers to SHARE for Healing of Victims of Abuse "Lord, we are so sorry for what some of us did to your children..."
whose love and faithfulness endures forever. will restore them and give them peace. that actively protects the most vulnerable people of society, particularly our children. to put an end to acts of violence and abuse. that God will give them an abundance of wisdom, compassion and love. which allows the unspeakable to be said. Help us to live with our painful memories. May we support each other and be safe places for each other.